I hope that this website will give you the information you need about my book, other work that I’ve been doing and forthcoming events, as well as links to relevant websites. There is information about my published work, with extracts or full text, as well as news about forthcoming publications. 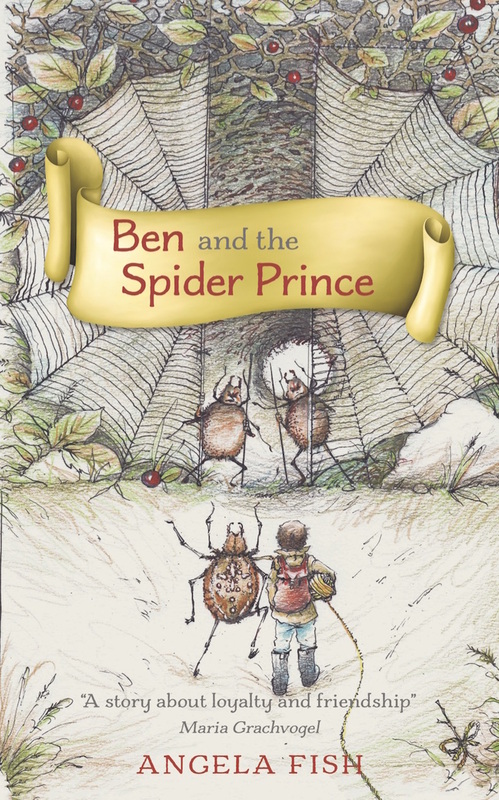 My first three book for children were published by The Book Guild Ltd.
Ben and the Spider Gate, Ben and the Spider Prince, and Ben and the Spider Lake are a series of three independent stories with the same central characters and similar themes. My latest publication is a picture book from Matador, entitled The Captain’s Favourite Treasure. I was born in Cardiff, South Wales and grew up in Tongwynlais, a village some five miles north of the capital. Castell Coch (Red Castle) designed by William Burges for John Patrick Crichton-Stuart, the 3rd Marquis of Bute (1870s/80s) stands on a hill overlooking the village and I guess this fairy-tale castle was the inspiration for a number of my earliest experiments with storytelling and writing. My parents encouraged me in my love of books and reading has played a big part in my life. There’s no specific genre that I favour – I’ll read anything that (I consider) is well written! As for the writing side of things – well, that was less of a constant initially, as I had no real focus for it. Most of my creative energies went into English essays. It wasn’t until I returned as a full-time (mature) Humanities student that I had the opportunity to both study, and participate in, Creative Writing. Most of my energies were directed towards poetry, although I did have some minor success with a short story competition. 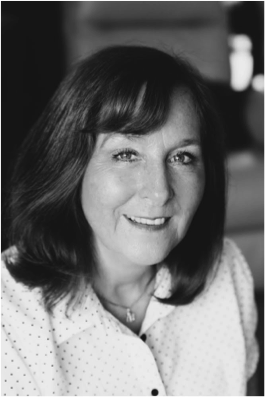 Over the following years I had poems accepted for publication in magazines, together with a critical article on the work of the Welsh writer, Menna Gallie. In 2014/2015, I was awarded both a runner-up prize and a highly commended place in Writers’ Forum magazine poetry competition. It was only after I took early retirement from my job as Principal Lecturer/Director of the Wales Centre for Intergenerational Practice, at the University of Glamorgan (now the University of South Wales), that I returned to writing prose and began experimenting with writing for children. In 2014, Ben and the Spider Gate, was accepted for publication by Book Guild Publishing Ltd.
Ben loves chatting to his wise gran, playing computer games with his best friend Jess, and helping his dad to train his clever dog Scoot. Best of all though, he likes playing ball in the garden with Scoot. Then one hot summer day Ben meets Lox, the gate-keeper of the spider kingdom under the garden hedge. Lox desperately needs Ben’s help before the end of the autumn, but can Ben save the spider kingdom without leaving the garden and going into the deep, dark wood? The leaves are starting to fall, and Ben and Jess must take a brave decision if the spiders are to have a safe winter. Talking to Gran, Ben begins to suspect that she might know more about his quest than she’s admitting. 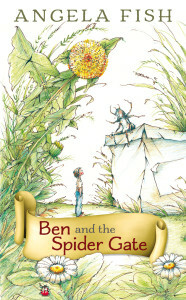 Ben and the Spider Gate is available at all good bookshops, or online at Amazon. A heart-warming and magical tale which will really capture your child’s imagination. My son really enjoyed the book and very much identified with Ben and Lox. Each evening he wanted to hear the next instalment and was very captured by the story. Ben threw the ball high in the air and Scoot jumped up after it and then chased it down the garden path. The sun was hot and after a while Scoot lay down in the shade of the garden shed and rested his head on his paws. Ben began to feel sleepy as well and his eyes started to close. When he opened them again he thought he was still asleep and dreaming. He wasn’t a big boy anymore; he was a very little boy. He wasn’t much bigger than one of the daisies that were growing in the grass! Lox, the gate-keeper of the spider kingdom under the hedge in Ben’s garden, asks Ben for help again. The Spider Wizard needs three special ingredients before the next full moon to make a magic potion to cure the Spider Prince, but can Ben find them in time? He meets some unusual creatures on his quest who are not all as scary as they first seem. Ben wants to tell his best friend Jess but she’d rather spend time with the new girl in school, so he asks his gran instead. They look for clues on the computer and in the library, but how much does Gran really know, and will she tell Ben a secret that will keep him safe from Spindra, the evil sister of the Spider Queen? Available at all good bookshops, or signed copies direct from the author. Ebooks available. The Spider Prince is a wonderful sequel full of adventure and magic. A story about loyalty and friendship that will totally capture your child’s heart. Ben wanted to try out the magic rhyme so much but he knew he’d have to wait until Gran was ready to pass over the secret of how to use it. He went into the kitchen and pulled on his coat and his boots. His head was bursting with all the things his gran had told him. He just couldn’t wait for tomorrow! Ben took a deep breath then said the rhyme and did the actions. He realised that the grass was now taller than him. He’d done it! He’d made the rhyme work. In the summer holidays Ben, his family, his dog Scoot, and his best friend Jess, stay in a cottage near the Dark Mountains. 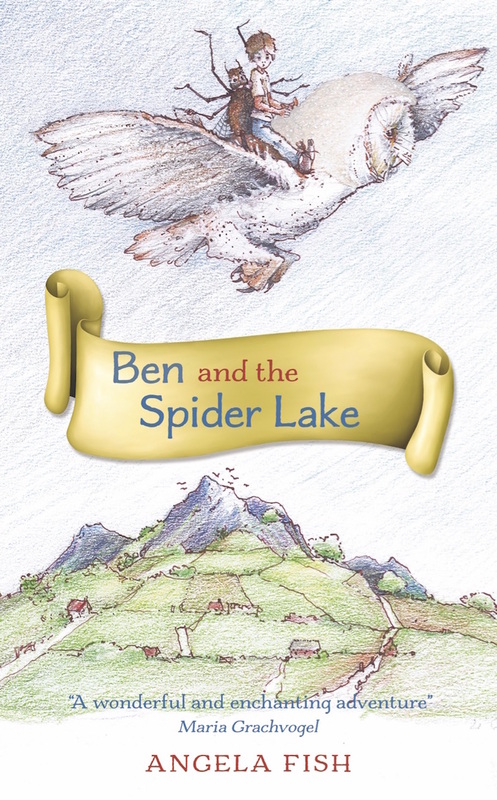 Ben and Jess find out that there’s a lake inside the mountain called Spider Lake and they wonder if it’s the place that Ben’s Gran had told him about in the spring, when she gave him the power to make himself small so that he could help the Spider Wizard to save the Spider Prince. Scoot gets into trouble when he finds a way through a cave onto the path around the lake where Ben and Jess meet a white owl called Hiboo and a mysterious lady. When Ben arrives home he finds out that the lane at the back of his garden is going to be dug up. He’s worried because he knows that the spiders who live under the lane will lose their home and could even be hurt. He has to find Lox, the guardian of the spider kingdom to tell him what’s going to happen. Ben and Jess try desperately to think of somewhere that the spiders could live but they only have four weeks before the workmen arrive. Can they find a safe home for the spiders in time? If they do, how will they move them? Is there anyone who could help? Maybe Gran has some ideas. 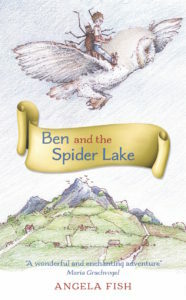 The Spider Lake is a wonderful and enchanting adventure that continues the story of Ben and Jess. The quest to find their insect friends a new home tests their imagination and develops their friendship. Ben walked into the cave very carefully. The floor was bumpy and there were pools of water everywhere. He shone his torch beam along the walls and he could see that there were lots of little passageways in the rock. He listened again and could hear Scoot barking. Meet Tom. Tom is a cabin boy on the pirate ship The Puffin and loves it very much. When Captain Cutlass Crank goes ashore on Pirate Island, he tells Tom to look after his favourite treasure…but when he returns, the treasure is missing! Very angry, the captain says that Tom must find his treasure – or stay behind on Pirate Island for good. Tom asks his parents, his parrot, Giggles, and the crew too, but none know what has happened to the treasure. Determined to find it, Tom takes a boat and rows to lots and lots of strange islands searching for the treasure. Can the fire tigers help him? What about the jigsaw people or the fish under the waves? Will Tom ever find the treasure? Available as paperback from Troubador, Amazon, general bookstores or signed copies direct from the author. Ebook also available. Join Tom on his adventure across the ocean as he searches for the captain’s favourite treasure. Can he find it before Captain Crank leaves him behind on Pirate Island? With lively language, quirky illustrations and a surprise ending, The Captain’s Favourite Treasure is a picture book that young readers will enjoy time and time again. What a lovely book The Captain’s Favourite Treasure by Angela Fish is. Beautiful illustrations throughout the book a must for any child who loves a good pirate story with an adventure to a pirate island. He meets Dolphins, Fire tigers, Monkeys, Fish and many more animals. Tom then visits the Rainbow Island then the Christmas Island and many more Islands looking for Captain Crank’s favourite treasure. Does Tom find it? This story was very thoughtful, and Tom could be a boy or girl pirate who is having an adventure looking for treasure and visiting Islands. The Captain’s Favourite Treasure by Angela Fish is very colourful and I loved it. Great book for any child and would be great for the pre-school going up to the classroom and this will be used for my classes. I can see a project coming out of this story and some role play with my students. Adorable children's book! I liked each fantasy island he searched. The illustrations were great. It taught a great lesson about "treasure". My kids and I all loved this book. There was enough going on in the illustrations to hold their attention the whole way through, and we all loved the ending. Great for early readers too. Cute story about a pirate boy named Tom who goes searching for the Captain's favourite treasure. Cute illustrations and the story has a nice flow to it. This is a very good title for early readers. The repetition used will help them anticipate words and build confidence in their reading skills … and the final discovery of the Captain’s Treasure and the things we value provides a good lesson. The author and ex-Howell's girl Angela Fish visited Year 2 today. Angela's book "Ben and the Spider Gate" isn't out until this September, but we were lucky enough to be sent a sneak preview copy a few weeks ago and so were thrilled to meet the author. We all had masses of questions to ask Angela, not only about the story, but also how she writes her books and where she gets her ideas. We saw illustrations from the book and learned all about the process of how it was published. We then had a real treat when Angela read out an extract from the next book in the series and had a huge surprise when she left us a copy of the new story to read. It won't be out until Spring next year so this is a real thrill - thank you so much, Angela! I sat in when the class teacher was reading Ben and the Spider Gate to the children at story time. It was clear from their faces that they were enjoying it. When it was time to finish the session, even I didn’t want the teacher to stop! The pupils were really keen to move on from chapter to chapter. I think they would have been happy to have heard the book all in one go! They were keen to find out more about how the story was written, so Angela Fish was invited in on World Book Day in March and I think she was surprised at the number of questions that they asked. I know that the teachers in the other classes that read the story feel the same way. Gran was my favourite – I think she’s wise and she’s kind. I liked Scoot because he’s like my dog – clever but a bit naughty. Ben was naughty to go into the woods and to take Jess with him, but he was only trying to help Lox and the other spiders. Ben and the Spider Gate is a fantastic hardback book by Angela Fish. It is a stunningly well-written and delightful book for children and parents and very well-illustrated with some engaging and enchanting artwork throughout the book. Illustrated with some beautiful black and white drawings, it is the kind of book you will enjoy reading to your young children or grandchildren. My children aged 3 and 6 were hooked by this story and wouldn’t let me stop until we finished it all. I liked it as much as they did as it was quite different to the normal children stories we read. We can’t wait to read the next one when it’s released. We bought a Kindle Fire for our daughter for Christmas and she really wanted to read this book as the Author came into her school to talk about it. She was really pleased with it! 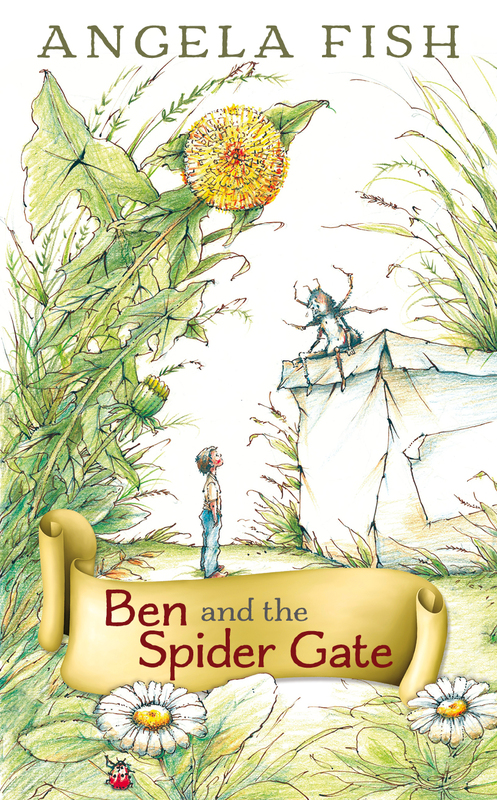 A wonderful tale that will inspire children to explore their garden and all the secrets it holds, Ben and the Spider Gate is a heart-warming tale with themes of friendship and magic. Lauren Lewis, Group Customer Services Manager (selected as one of The Book Guild "Staff picks").